Available Properties – Anchorage, Alaska Property Management – Paragon Properties, Inc.
Beautiful single family home in the highly sought after Goldenview Park neighborhood. Amazing inlet views. 4 HUGE bedrooms. Immaculate condition. Open concept. Granite countertops and stainless steel appliances in the kitchen. Built-ins surrounding fireplace in family room. Matching built-ins in office. High ceilings in the oversized garage. It will be available April 1st and is $3600/month plus utilities. No Pets, No Smoking, 1 year lease. 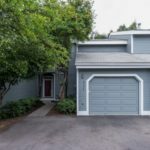 Beautiful remodeled spacious townhouse style condo located in downtown Anchorage, walking distance to Fire Island Bakery and New Sagaya. Only 2 blocks from the park strip. Features 3 bedrooms, 2.5 bathrooms, in-floor heat, stainless appliances, quartz counter-tops, W/D and 2-car garage. 2200+ sf of living space and will be available June 1st $3500 plus gas, electric & refuse. Dog on approval. No smoking. I year lease. 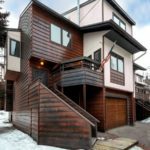 1426 W. 15th Avenue Unit A, is an upscale executive style unit located by Westchester Lagoon & close to the airport, downtown Anchorage, parks & bike trails. Amenities include hard surface flooring, granite countertops & stainless appliances. 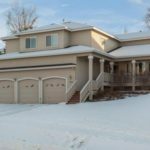 It has 2 bedrooms, den/office, 2.5 bathrooms, a washer and dryer, oversized one car garage, deck, fireplace, and over 2500 square feet of living space. It is $2800/month plus gas & electric and is available May 10th, 2019. No pets, no smoking, 1 year lease. 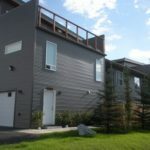 5505 Lucky Road Unit D is a newer construction high-end style town-homes located in East Anchorage, close to shopping, ski/running trails and the military bases. 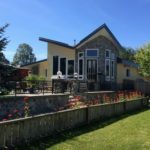 They have 2+ bedrooms, 2 bathrooms, office or 3rd bedroom, washer & dryer, private deck, and an over-sized 2 car heated garage. There is over 1900 square feet of living space and it is $2150/month plus gas, electric & refuse and is available now. No pets, no smoking, 1 year lease. This 3 bed, 2.5 bath, multi-level condo has so much to offer w/2 decks & 2-car tandem garage. Beautiful wood laminate flooring throughout w/unique but practical layout that includes a dining room, loft & living room w/vaulted ceilings & fireplace. Tasteful kitchen w/SS appliances, track lighting & breakfast nook & bar. It is $1850/month plus gas, electric & refuse and will be available May 1st. Pet on approval, no smoking, 1 year lease. 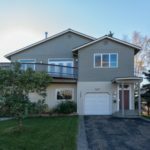 6634 Cimarron Circle is a very nice townhouse style condo located in East Anchorage close to shopping, parks, bike trails and the military bases. It has 3 bedrooms, 2.5 bathrooms, W/D, deck, fenced court yard and a 1 car garage. 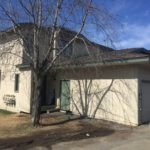 It has over 1400 square feet of living space and is $1695/month plus utilities and is available now. Pet on approval, No smoking, 1 year lease. 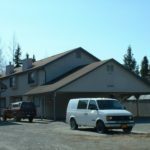 Midtown Anchorage tasteful condo unit located in the UMED area close to UAA and Providence Hospital. It has 2 bedrooms, 1.25 bathrooms, fireplace, storage and 1 car garage spot and has approximately 900 square feet of living space. It is $1275/month plus gas & electric and is available now. No pets, no smoking, 1 year lease. 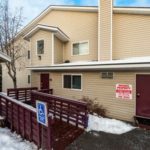 3030 E. 46th Avenue #1, Midtown Anchorage townhouse style unit in a four plex, located close to UAA, Providence and ANMC. It has 3 bedrooms, 1.5 bathrooms, a washer and dryer, and is approximately 1200 square feet. It has one carport parking space and one uncovered space. Unit will have new carpet and paint. Rent is $1295/month plus electric and will be available mid May. No pets, no smoking, 1 year lease. 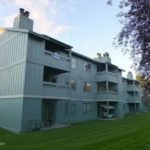 SPARKLING, CONTEMPORARY 2 bedroom 1 bath unit in SECURE, quiet building with washer/dryer available in the building. Full size kitchen with modern appliances, comfortable floor plan, on-site storage. Private balcony. Assigned carport parking with plug-in avail. Additional parking available if needed. Near Abbott Fred Meyer with easy access to shopping, dining and parks. Rent includes all utilities EXCEPT electric. Premium cable TV service included! No smoking/no pets, 1 year lease.